Kevin Miklossy (Founder/Photographer/Videographer) can be found on most sunny days, camera in hand, encouraging our editor through the corner repeatedly. Such is a plight of a photographer, but Kevin’s hard work has defined OneWheelDrive.Net’s visual style. Glenn Simmons (Photographer/Videographer) “recently” joined OneWheelDrive.Net as of 2007. An unreformed Harley rider, Glenn has taken to adventure riding and was key in our Arctic Adventure and Challenge series. 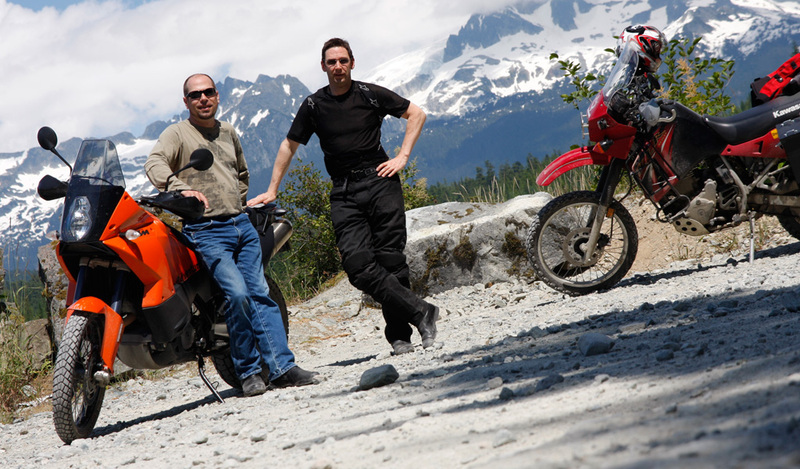 Glenn’s photography has redefined what quality motorcycle travel is.